This custom home had a modern design with a low slope metal roof and finished concrete floors. The open tongue and groove ceiling further adds to the clean lines of the home. Warm materials welcome guests into this contemporary home. 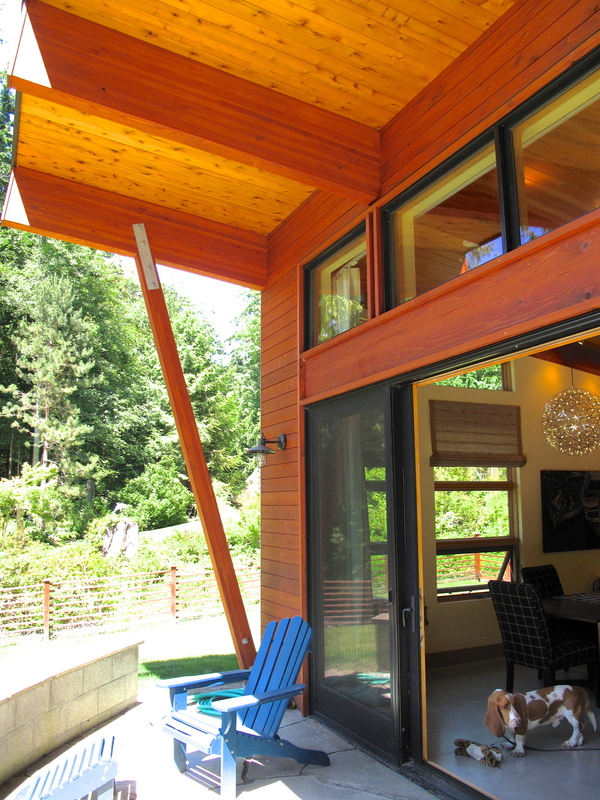 Much of the interior trim and exterior siding of this home was milled from timbers that had to be removed from the site. They were rough milled on Bainbridge Island, kiln dried, and milled to final dimensions in Tacoma.